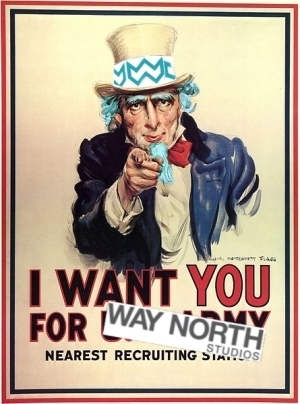 We are currently on the lookout – for a limited amount of time – for someone to join us as fellow or secondary co-founders of Way North Studios. 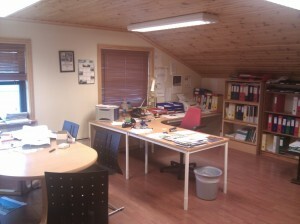 This entails investing some amount of time, money and labor in the company in return for founder-status, shared ownership (where the size of the ownership-share depends on the level of investment/commitment) and the opportunity to get in at the ground floor to help develop and grow our business into a self-sufficient and thriving independent game development studio. This will of course require sacrifice, hard work, strength of character, staying-power and a collective will to succeed. The results of these efforts? Being able to get one’s foot in the door of the game development industry and participate in the creation of some great games; working in a challenging, creative and entertaining environment; (potentially) becoming one’s own boss for once; the chance to create works of entertainment that can inspire joy and excitement in thousands of people all over the world. Oh, and down the road – assuming we play our cards right – there might also be some monetary rewards involved… …if you’re into that sort of thing. If any of this sounds interesting and you’ve got a passion for games as well as skills and/or experience that you think might be relevant to a startup company focused on independent game development – contact us and we’ll talk details! Anything else you might find relevant (The most unlikely of skills or experiences can turn out to be useful in game development)! Join us, and with our combined strength we can bring fresh, new games to the galaxy! Behold! 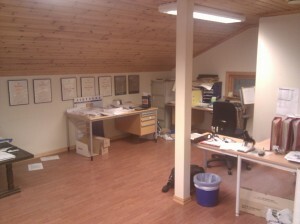 Our new office space. It’s truly, truly, truly outrageous! …and no, it’s not your Amiga that has come to life, but another indie game development studio! In one of the coming days we will officially announce the launch of our new studio – Way North Studios. In the mean time, we’re hard at work getting all the basics of company and website (this very website) creation out of the way. Our plan is simple: To take over the world! …or to become the best game designers and developers that we can possibly be, through hard work, sweat, tears, soda, blood, strawberries, carpal tunnel syndrome, neck/back injuries and even more hard work. And also, Norwegian brown cheese. Whether we’ll ultimately succeed in this endeavor or if we’ll end up wandering from island to island begging for scraps has not yet been determined. Fate will take its course. © 2019 Way North Studios AS.